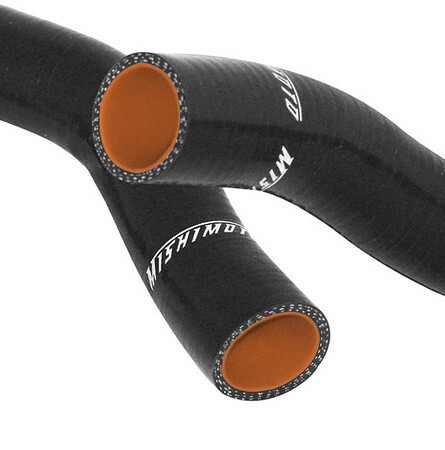 Upgrade the performance and style of your vehicle with superior Mishimoto radiator hose kits. More heat tolerant, more efficient, and 100 percent silicone. 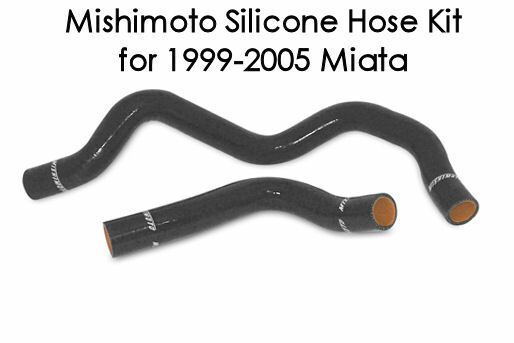 Mishimoto radiator hose kits more robust radiator hoses under your hood. 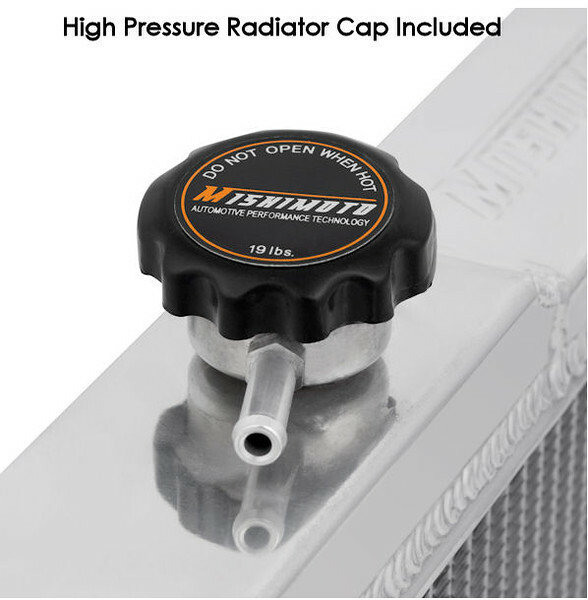 Using high-grade silicone and heat-resistant embedded fibers, Mishimoto hoses provide heat protection and increased pressure tolerance. 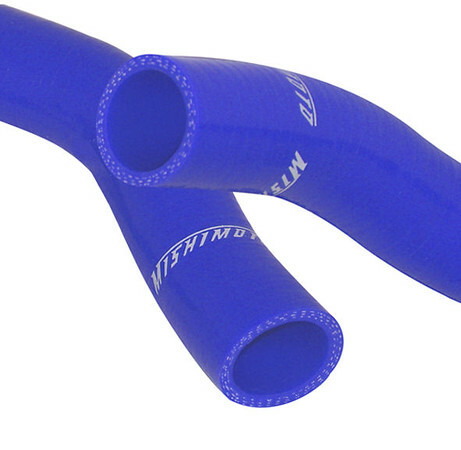 Radiator hose kits are available in black, blue, and red to enhance the style of your engine bay, if that's your thing. Tempearture stability up to 330F so if your car starts to melt in a Global Warming heat wave, at least the hoses will be unaffected. When you are going through a race car and building it off of an OEM tub that might be 10-15+ years old (like an NB Miata) one of the things you do is replace all of the critical fluid transfer lines. 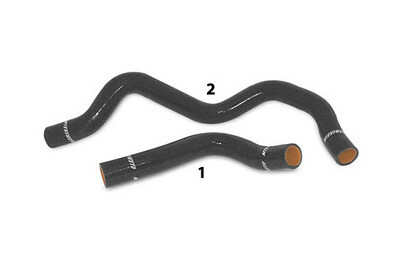 Radiator hoses are a key part of the cooling system, and if you are bothering to upgrade the radiator (like with the Mishimoto aluminum unit we also sell), a smart upgrade is to go to one of these Silicone radfiator hose kits. You can shoose bright red or blue, or just stick with black. Whichever color you choose know that these pre-molded silicone hoses are better in every way to the cheap rubber hoses you could replace the old stuff with. And for the autocross folks worried about violating some obscure class rule with these hoses, no worries. 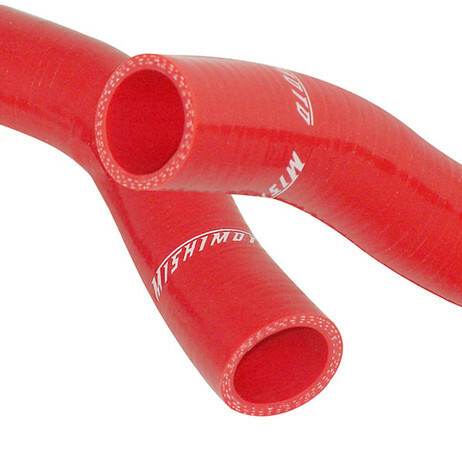 These are considered OEM replacement hoses because there is not "technical" performance increase from using these, and they are the OEM shape and weight. But they do have higher heat tolerance and burst pressure rating - so they add more peace of mind.